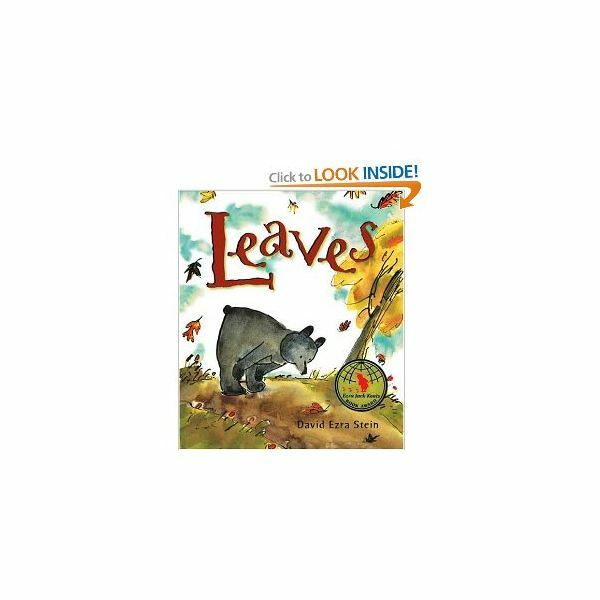 Introduce your study of leaves and trees with a fun picture book, like Leaves by David Ezra Stein. Preschoolers will love this story about a little bear who isn’t quite sure what to do the first time he sees leaves falling off of the trees. Is something wrong? Should he try to put them back on? Here are a few things you may want to teach your preschoolers about leaves and trees. Green leaves contain chlorophyll which helps them use the sun to make food for the plant. Some trees have leaves that change colors in autumn and later fall off. Other trees stay green all year and are called evergreen trees. During winter the trees that have lost their leaves make buds, which will open as new leaves in spring. Collect leaves from different types of trees and place them at your science center. Provide hand lenses for your students to use for observing the leaves. Let the children draw what they see in their science notebooks or on blank sheets of paper. While the children are observing, help them name the parts of the leaves that they see, like the veins and the petiole, the stalk that connects the leaf to the plant. This simple experiment will show children why leaves are important to plants. Bring in two plants of the same type. Take all of the leaves off of one of the plants and leave them on the other plant. Give each plant equal amounts of water and light and observe what happens over the next few days. Without its leaves, the first plant will not be able to make food and will begin to die. This Let's-Read-And-Find-Out Science book by Betsy Maestro is an excellent choice to read to your preschool students about the changes that leaves undergo throughout the year. 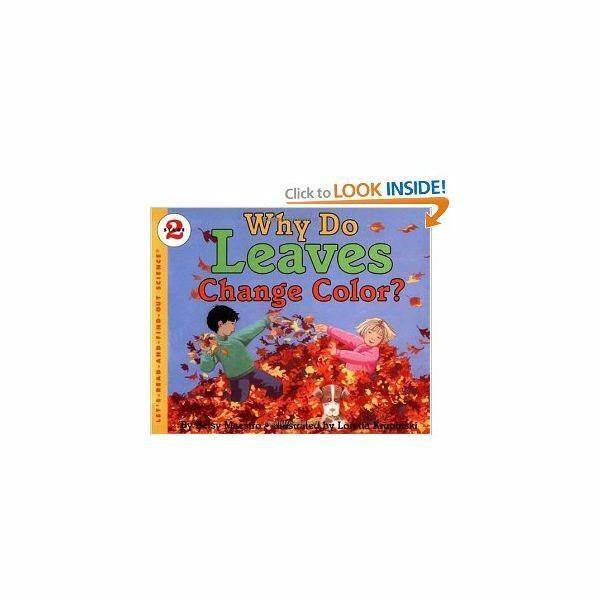 It explains how chlorophyll makes food, why leaves fall from the trees and what makes them change colors. It's a little long to read in one sitting for younger children, so plan on breaking it up and reading it over a few days. This informative book will go a long way towards answering many of your students’ questions about trees and leaves. You can practice a lot of math concepts while using a leaf theme. Here a few fun math lesson plan ideas. The varied colors and shapes of fall leaves make them an ideal subject for making patterns. Use leaf stamps and several colors of ink and have students stamp out patterns on sentence strips. If your school has a few different leaf die cuts, make leaves of several shapes and colors, and laminate them. Then place them at your math center and have the children use them to practice making patterns. Take you students on a walk to collect leaves. Give each student a bag to keep his leaves in and instruct the children to find about ten leaves. When you have finished, return to the classroom and give the children a few minutes to look at their leaves. Ask them to tell you what they notice about their leaves. What colors do they see? Are the big or small? Do they have curved or pointy edges? Then show them how to sort their leaves into groups. If sorting is a relatively new concept, you will probably want to give them the categories for sorting, such as color, size or shape. Have them sort their leaves a few different ways. You may also want to provide them with glue and large piece of paper, so that they can save their favorite way to sort. For another sorting activity find pictures of different kinds of trees, both evergreen and deciduous. Then let the children sort the pictures by which trees have leaves that change colors and which ones stay green all year. Cut pieces of card stock or poster board into rectangles and squares that are about the size of leaves found near your school. Give each child a shape and then take the kids outside for a leaf scavenger hunt. Challenge the children to try to find a leaf that almost fills up the space of their shape. It should be both as long and as wide as their shape. Once they have found one, check it and if it just about fills the space, give them a new shape to fill. After looking at pictures of different colors of fall leaves, let the children vote on which color leaf is their favorite and then make a simple picture graph to show the results. There are so many math and science activities to add to your preschool curriculum on autumn leaves and trees. Add some leaf crafts and language activities and you'll have a fun fall unit.